100% MONEY BACK GUARANTEE: If you aren’t completely satisfied with this beard balm, we’ll give you every penny of your money back. Try it today at our risk, and not yours. As all bearded gentlemen know, beard hair can quickly become unruly. Stray whiskers pop out, it gets tougher to groom, and the hair becomes coarse and wiry. The Gentlemen’s Beard Premium Bay Rum Beard Balm has enough hold to tame even the wildest beard, with no stiffness or stickiness. It will discipline your beard, making it soft and manageable but free from greasiness. You’ll be able to shape your beard hair perfectly, without any heaviness. In fact, you’ll feel like you don’t have any product on it at all.. This balm doesn’t just smooth out your beard and moisturize the beard hair, it also hydrates and protects the skin underneath. This means less itchiness and irritation, and it also dramatically reduces annoying flakes of skin in your beard. Whether you call it dandruff, beardruff, or just a plain annoyance, this balm will make sure that you never have to speak its name ever again. 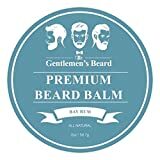 The Gentleman’s Beard Premium Bay Rum Beard Balm is made in the USA with all natural ingredients. 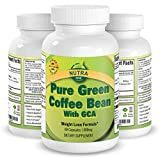 It does not contain any chemicals or additives, and it hasn’t been tested on animals. The masculine Bay Rum fragrance comes from natural plant extracts. We’re so confident that you’ll love this beard balm that we’re happily offering a 100% money back guarantee. If you aren’t completely satisfied, for any reason, then we’ll happily give you every penny of your money back. Try it today at our risk, not yours. Be Proud of Your Beard; Look Manly and Magnificent – Pick Up This Beard Balm Today! 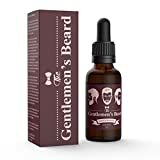 ABSORBS DEEP INTO YOUR BEARD FAST: This oil is quickly absorbed deep into your beard hairs, making them softer and stronger without any greasy residue or heaviness. Within an hour you’ll be able to touch your beard without feeling the product at all. MASCULINE SANDALWOOD SCENT: With this beard conditioner, you won’t just have a healthy beard that feels softer than ever before, you’ll also enjoy a captivating, manly Sandalwood aroma. Picture this: You’re having a romantic adventure with the woman in your life, or maybe someone new. Things are going well, and she leans in for a kiss. For you, it’s perfect. But she leans back, rubs her irritated face, and tells you it feels like she’s in love with a belt sander. This situation used to be inevitable for bearded gentlemen, but not anymore. With this beard oil, your coarse and abrasive facial hair will be transformed into a smooth, sleek work of art. Not only is it absorbed deep into your beard, smoothing and softening with no greasy residue, but it also makes it easier to groom and style. You’ll probably end up in that kissing situation a little more often. This beard oil doesn’t just look after your hair, it also protects the skin underneath. That means less itchiness when you’re growing out your beard, no more beardruff, and a beard that has a shiny, healthy appearance. It won’t just be softer, it will also be stronger, with less broken hair or stray whiskers. And the best part? Just one bottle will condition your beard for several months. This beard oil is made from the purest, most natural ingredients we could find. These include the finest Organic Evening Primrose Oil, Pure JoJoba Oil, and Vitamin E from a natural source. All ingredients are organic, and nothing has been tested on animals. Which is good, because this oil would make a grizzly bear as smooth as a pussycat. Give Some Discipline To Your Unruly Beard – Pick Up This Beard Oil Today!